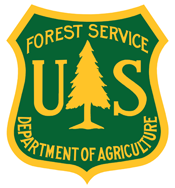 The United States Forest Service, an agency within the U.S. Department of Agriculture, has existed for more than one hundred years with the express purpose of managing 154 national forests and 20 grasslands in 43 states and Puerto Rico. Founding chief Gifford Pinchot declared its guiding philosophy—managing those federal lands “for the greatest good of the greatest number in the long run”—when the agency was established in 1905. Much can be learned about the changing attitudes of the American people toward nature, natural resources, and each other, by examining the history of the USFS. These webpages are intended to document some of that long history. The U.S. Forest Service maintains a historical reference collection at the Forest History Society. The collection is useful for researchers and Forest Service employees interested in the administrative history of the agency and the broader histories of forestry, conservation, and land use. This collection features historical materials dating back to the mid-1800s, and includes correspondence, memoranda, legislation, books, periodicals, articles, pamphlets, and photographs. Materials are continually added to from a variety of sources. All are searchable in the USFS Collection database. In May 2008, more than 13,000 Forest Service images from the Eastern Region (Region 9) were incorporated into the Society's image database, creating one of the largest online collections of searchable historic Forest Service images. In addition, FHS has published numerous books on the history of the U.S. Forest Service available for purchase. For more information about the U.S. Forest Service Headquarters History Collection, contact the Forest History Society staff. 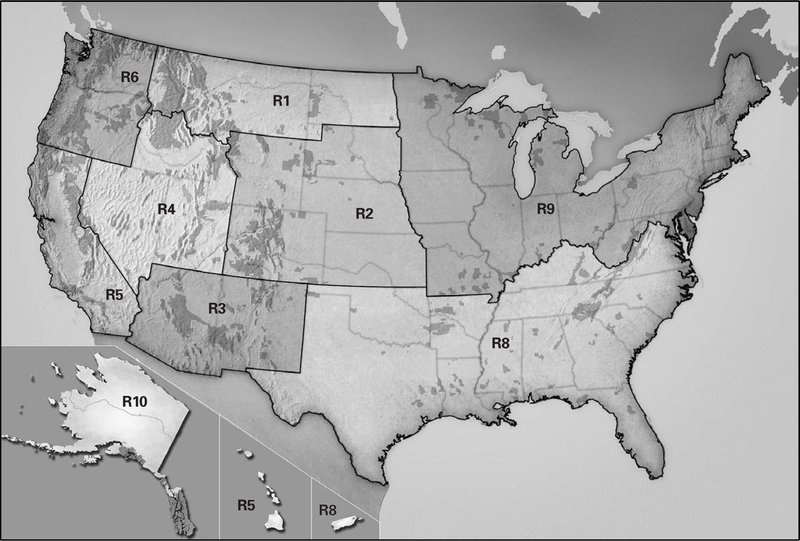 There are nine regions in the National Forest System. Region 7 was combined with Region 9 in 1965.